Peaceful nuclear energy, military cooperation and space exploration are the areas in which Russia and India intend to work closely together. The first day of President Dmitry Medvedev’s official visit to India has seen the signing of contracts in oil and gas, nuclear energy and banking. 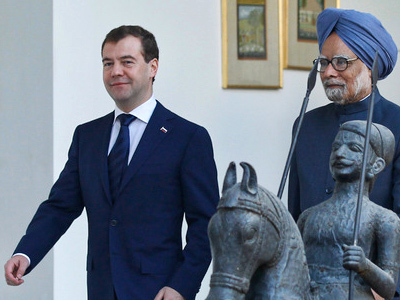 During a news conference following talks with Indian Prime Minister Manmohan Singh, President Medvedev specifically noted energy cooperation between the two countries, calling India a “comfortable partner” in that area. “Russia is positive about such cooperation in the future,” Medvedev said. “It applies not only to nuclear energy, but also to cooperation in selling and extracting hydrocarbons,” he added. Among the examples of such cooperation, Medvedev mentioned the Sakhalin-1 oil and gas project, which involves Indian capital. Both countries believe the peaceful use of nuclear energy should be broadened. Russia and India have adopted a joint statement calling for increased nuclear energy cooperation with third countries. 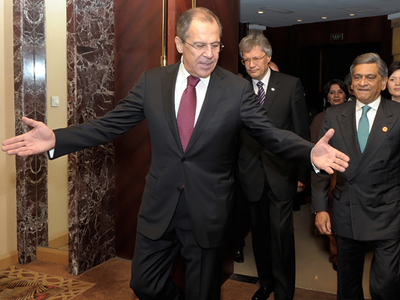 ­Several agreements for increased military cooperation have also been signed by Moscow and New Delhi. 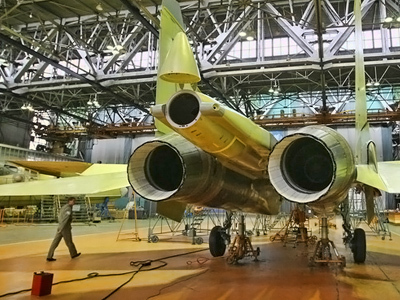 One of the most promising contracts is for the joint development of a multi-purpose fighter jet. It will be designed by Rosoboronexport, Russia’s state-owned military exports and imports company, and Hindustan Aeronautics Ltd, working under the management of India’s Defense Ministry. ­Russia and India also plan to launch a spacecraft to the Moon in 2013 and work on the production of equipment for the Glonass satellite navigation system, Russian President Dmitry Medvedev told the media. In an interview with the Times of India on the eve of his visit to the subcontinent, President Medvedev recalled that the two states have a long space history. The first Indian astronaut, Rakesh Sharma, made his spaceflight as a crew member of Soyuz T-11 in 1984. “Today, India has its own space launch site and is able to launch artificial satellites all by itself. However, we continue to collaborate in this area”, Medvedev said. He mentioned that the exploration of outer space makes it possible to carry out important scientific research and implement commercially viable programs. This includes the use of the Russian-designed Glonass satellite navigation system. "The matter to address now is to launch production of equipment for end-users, and for this purpose we intend to set up a joint venture with India." According to Russian presidential aide Sergey Prikhodko, the global financial crisis could not divert from the positive dynamics in Russian-Indian trade, as in 2010 trade could reach US$9.8-10.1 billion. In addition to strengthening bilateral ties, Russia and India pledged to step up cooperation within international organizations, notably the United Nations. “We will be closely cooperating with the UN Security Council in the next two years,” said President Medvedev, reminding that India will be a non-permanent member of the UN Security Council in 2011-2012. “Russia regards India as a strong and worthy candidate for a permanent seat on the UN Security Council, should a decision on the council's expansion be adopted,” outlined Medvedev. Security issues have been high on the agenda between President Medvedev and Prime Minister Singh. Both countries have been suffering from terrorism – which they point out is an overall problem and not one of a single country. They believe information exchange and extradition of terrorists will help tackle the problem. “I hope that not a single normal modern civilized state is able to allow terrorists to stay on its territory as law-abiding citizens hoping that they will change. They must certainly be punished for all of their evil deeds. 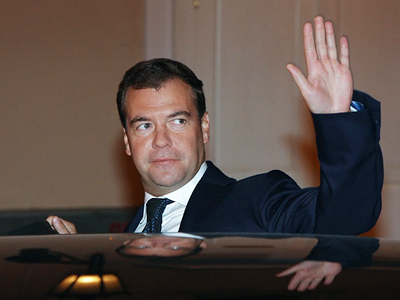 They must be subject to extradition,” said Medvedev at the news conference. ­And to make cooperation easier on the practical level, Russia and India have signed an agreement facilitating easier travel for Indian and Russian citizens. However for now, this mainly concerns business people and researchers.